Apr 17th We are proud to be certified as an Industrial Scientific Authorized Service Center! Anhydrous ammonia is a chemical compound composed of nitrogen and hydrogen that has been liquefied and compressed into a gas. It is used as fertilizer, in power plants, and as a refrigerant. 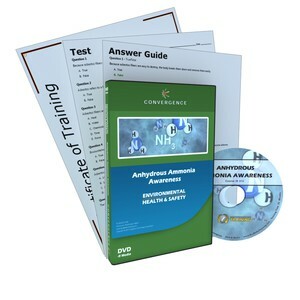 This course describes what anhydrous ammonia is and how it is used in general industry. This course also discusses the permissible exposure limits of anhydrous ammonia, the personal protective equipment that should be worn when working with or around anhydrous ammonia, handling precautions, as well as emergency response procedures. © 2019 Copyright Apollo Safety. All Rights Reserved.